From 2015 to 2017, home remodeling projects and renovations cost Americans over $449.5 billion. Though homeowners are financially ready to improve their properties, not all of them will hire professional contractors. The two most common remodeling projects are the kitchen and the bathroom. They’re the most used rooms in a home and a typical renovation can be costly and time-consuming if not planned properly. If performed well, a kitchen remodeling can increase the resale value of the home. This is why you should decide if you’ll keep living in the home after the renovations. Keep reading to find out which questions you should ask yourself before remodeling your kitchen and taking on more than you can handle. 1. Why Are You Doing a Kitchen Remodel? Before you start calling contractors, ask yourself why you’re doing a remodel. For some homeowners, the kitchen is too old and outdated and renovating is a must. Others simply want a new, more functional kitchen with additional storage. Some families renovate because they have children and want to spend more time together around the table. What’s your reason? The answer will help you make all the right design and budget decisions. 2. What Kind of Kitchen Do You Need? Don’t start a kitchen remodel without defining the purpose of your kitchen. Are you a busy individual who doesn’t cook much at home? Then you need a small, functional kitchen for when you do. Are you a family with kids who love home-cooked meals and lunch bags? Then you need a kitchen meant for frequent use, with durable materials, tons of storage, and high-quality appliances. 3. What Is Your Interior Design Style? Gathering design inspiration for your kitchen renovation will give you a general idea, but digging deep into Pinterest boards can leave you overwhelmed. If you don’t know what style of kitchen you want, consult an interior designer or your contractors. The kitchen should blend in with the rest of the house and flow with the adjacent rooms, especially if you’re going for an open concept. You can always incorporate elements from different styles but stick to one main style to avoid a mish-mash of ideas. The question about the kitchen remodel costs should be discussed in the early stages of planning. Even if you’re flexible with the finances, the renovation can end up draining your budget and leave you stressed. What are your priorities? If you want modern, high-quality appliances, you’ll need to cut back on expensive tiles and backsplash. If you don’t cook as much, but love to have people over often, spend more money on the exterior design of the kitchen. Your budget should reflect the purpose of your kitchen and unless you have unlimited funds, you’ll need to prioritize. Include the costs for hiring a contractor here and ask them about any hidden or extra costs that may arise. 5. Are You Going to Hire Contractors? Many homeowners are enthusiastic about doing a kitchen renovation themselves only to give up when things get difficult. Unless you’re a contractor or an expert DIY-er, leave the hard work to the professionals. Working with contractors will save you time, nerves, and money in the long run as DIY projects can go wrong easily. Your biggest chunk of money will go into labor and the expertise of the workers. 6. Do You Have Children Or Pets? If you have small children or pets, your kitchen remodel ideas for a sparkling white marble kitchen may not be the most practical. You need durable materials that don’t stain or scratch easily. You’ll also need extra storage space for your kids’ and pets’ dishes, food preparation appliances, feeding areas, and baby chairs. 7. Can You Remove Walls Around the Kitchen? For example, if your kitchen is separate from the living room and you want an open-concept, you’ll need to demolish some walls. The problem arises when these are load-bearing walls and demolishing can compromise the safety of the home. Your contractors will evaluate the wall and tell you if it’s safe to demolish it. If it is, they’ll build temporary support around it, and once the wall is gone, they’ll install beams for added support. 8. Is Your New Kitchen Functional? The main purpose of a quality kitchen renovation is to make the room more functional for you. For some, this means added storage and more countertop space. Others need better appliances and more dining space. No matter the goal, the end result should make your kitchen more practical than the previous one. You can easily accomplish this with custom-build kitchens where everything is made to fit the space. 9. Will You Live in the House or Sell It? The type of renovation you do depends on your future plans for the home. Will you live in it long-term or plan to sell it in the next couple of years? For example, if you’re renovating your kitchen to increase the resale value of the home, you can go with a classic kitchen style that’ll appeal to potential buyers. In this case, don’t fully customize your kitchen to your own needs, as homebuyers may not see the potential and look for something entirely different. Once you’ve gathered all the kitchen remodeling ideas, it’s time to set a starting date for the renovations. Talk to your contractors to see if they’re available and once they confirm, you can sign the contracts and start preparing your home. Bear in mind that plans don’t always turn out perfectly and you may experience delays. Also, think about your living situation during the remodeling – will you live in the house or relocate temporarily? Remodeling Your Kitchen Is Easy with These Tips! 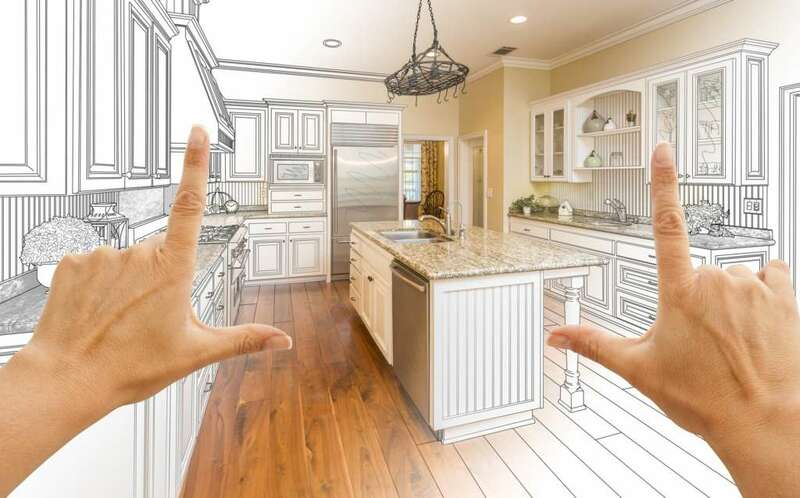 Kitchen renovations can be stressful for homeowners, which is why you should ask yourself these questions to see if you’re ready financially and mentally. Think about the purpose of the remodeling, the cost, the amount of time it’ll take, and whether it’ll increase the resale value of the home. Next, source the best contractors in your area and let them do their magic. Are you remodeling your kitchen but don’t know where to start? Read here to see what it takes to design your dream kitchen and why you should hire professionals for the project.